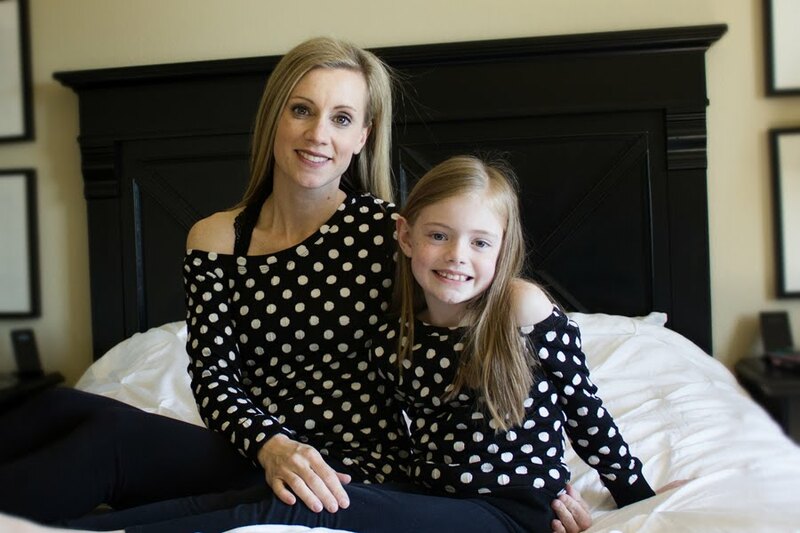 A long time ago I stumbled across this adorable blog: Elle Apparel. She has so many cute ideas for clothing. I decided to give her Maxi Skirt Tutorial a try and I am glad I did. This skirt comes together quickly and is so comfortable. The only negative for me is the fit. Because my waist is much smaller than my hips, I didn't cut it wide enough to allow for my shape. The first one I made was way too tight...here is a picture of this skirt. While I like it, the fabric is somewhat thin and not the most forgiving. Add that to being too tight and it just won't work for me...so my sister who has basically the opposite body of mine- no hips, is now the owner of this skirt :) When I made the second one I cut it larger and used a heavier knit. I still feel like it is a little too snug and will never be worn without spanx :) although I never wear knit skirts or dresses without them anyway...In my opinion, no one should :) I may give this skirt another try and cut it even wider to see if it helps. Using my serger the whole thing came together in under an hour for cutting and sewing...so I think this is a great project for people to try that like quick and easy projects.